Adhaiwell is Gold Member of Made-in-China and Canton Fair. Adhaiwell is your trusted partner in China. 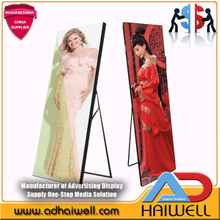 ADHaiWell is manufacturer of customized indoor and outdoor advertising media solution products. We provide advertising products made of the highest quality materials, offering an outstanding value for our customers. The elegant design with clean lines is an asset to any city environment. Superior digital advertising LCD display times is coming. 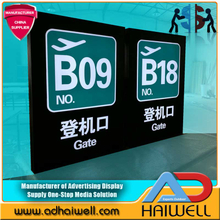 Digital LED full color make your advertising messages come to life! 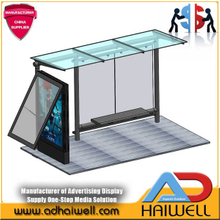 Public bus shelter advertising adds real impact to your brand. Various of signages can be made from adhaiwell. Just tell us your idea. A lot of high-tech and green power solar is used on outdoor advertisement. ADD：Chaotian Industrial Zone, Panyu, Guangzhou, China. We provideadvertising products made of the highest quality materials, offering an outstanding value for our customers. Providing productions covering all domains of the advertising & media industry. Manufacturer for Outdoor Advertising with good quality on sale. Best price, Best quality, Double win. “Best price, Best quality, Double win.” We chose this motto because it succinctly expresses our corporate philosophy. We seek to work with our client and customer together to enhance the quality of life in urban spaces. Simultaneously, we offer advertisers a wide range of innovative outdoor advertising media, from traditional billboards to interactive technologies. Work you do speaks for itself. We believe in the same. 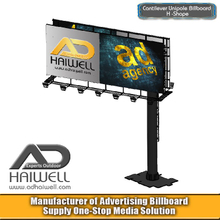 The Adhaiwell team have been delivering our outdoor advertising billboard services for many years now. Strongly commercially aware they know our industry well and have consistently delivered winning results for our company. We have been a proud customer of Adhaiwell for many years. We have always received personalized customer service and very competitive pricing while they helped us grow our business. We would gladly recommend Adhaiwell to anyone who is looking for a outdoor media services provider. Perfect service coupled with best rates - Adhaiwell Outdoor Media gave us an outstanding outdoor experience! 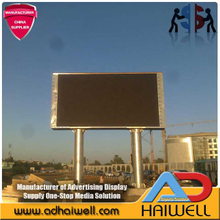 I have no hesitation in recommending Adhaiwell Outdoor Media and thanking you for providing excellent service. 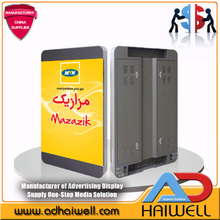 Adhaiwell is very professional and can customize any product of advertising solutions and even send the drawings. I propose to remain in the loop for possible future orders. “Best price, Best quality, Double win .” We chose this motto because it succinctly expresses our corporate philosophy. We seek to work with our client and customer together enhances the quality of life in urban spaces. 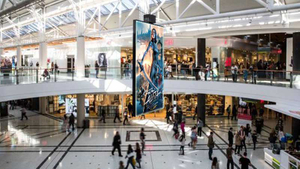 Simultaneously, we offer advertisers a wide range of innovative outdoor advertising media, from traditional billboards to interactive technologies. 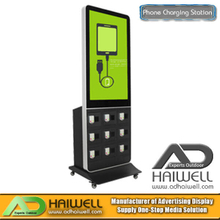 Captivating your target audience with our innovative advertising products .Manufacturer of Advertising Display.Supply One-Stop Media Solution.Your Outdoor Advertising Experts.Your Best Partner in China. Adhaiwell is Gold Member of Made-in-China and Canton Fair. Adhaiwell is your trusted partner in China. 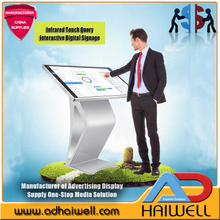 Adhaiwell: your reliable link to China's advertising solution manufacturing hub. "Adhaiwell the best of two worlds, and sharpen your competitive edge. Do you want to get high quality of led screen display while buying a reasonable cost of the led screen, but need an expert opinion? In order to take into account all aspects be sure to ask manufacturers and suppliers to make an inspection checklist for the LED display. Why Choose SMD P2.5 LED Poster Screen for Advertising Display? Outdoor advertising is a low budget and effective way of advertising a company product. Among the entire methods billboard advertising is the most sort after method, which has been proven to be the best sales strategy in the recent times.